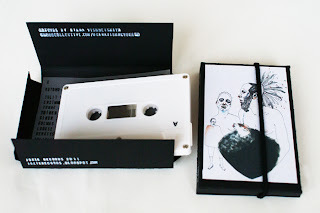 I am amazed by the whole release. 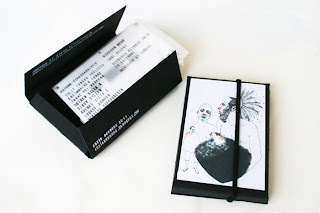 The package is super stylish and the music is beautiful. 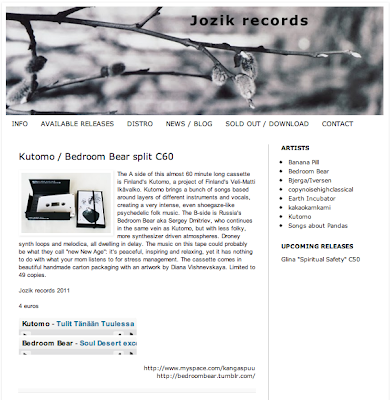 We think it's the best release on Jozik so far. You can find more details about the cassette on our new site. That's actually another thing i wanted to share. One day Myspace got so ugly, i could not believe it. So i tried to come up with something i could make fast (i am still planning to make an actual website, but it will take me lots of time). So i decided to make a Jozik site right here, on Blogger, cause i am so used to it. One evening was enough for it, and i am quite happy with the result. It looks pretty and actually has all the functions we need.